The young woman loved Bertin’s work. 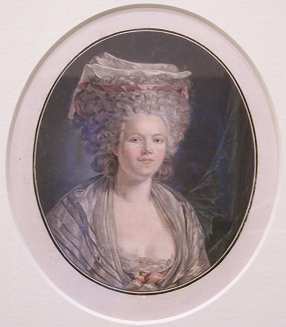 After Louis XVI’s coronation, Marie Antoinette and Bertin met twice a week to discuss the dressmaker’s new creations. While talking about dresses and poufs, the two women became friends, and the Queen started confiding in her milliner. Together, they also launched many fashions. 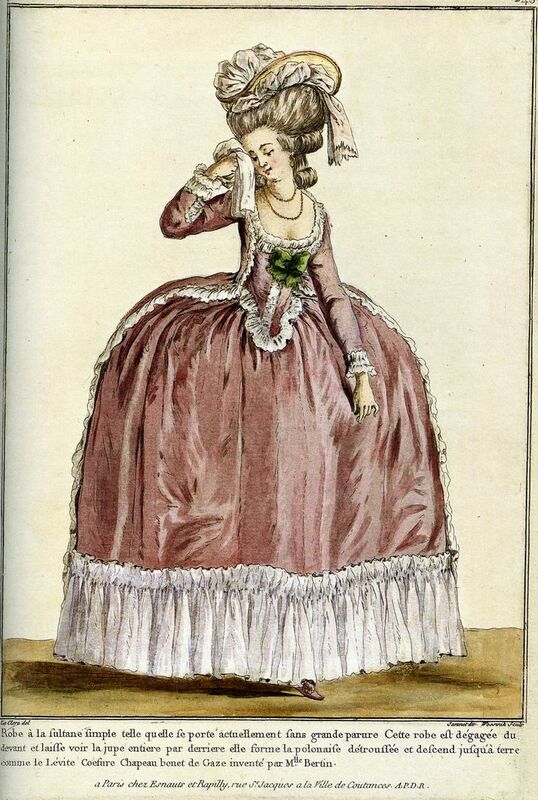 At the time, women wore “pouf”, raised hardos made possible by pads and pomades. For the Queen, Bertin went one step further (or better, three feet higher). Not only were poufs now insanely high, they were also decorated with all kinds of objects to showcase current events. The pouf a la circonstance commemorated the change of reign, the pouf aux insurgents was in honor of the American Revolutionary War, and a French naval vessel represented the Queen’s support for the America in the war for their independence (France was helping them). 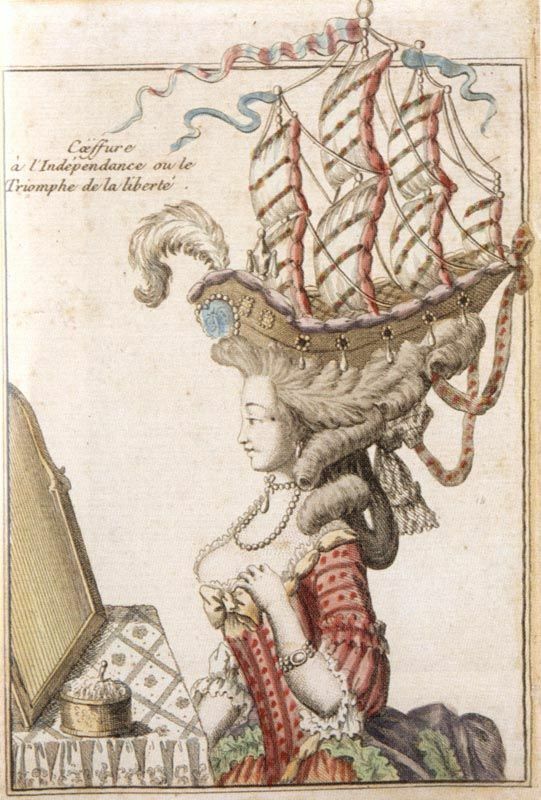 Her hairdos were outrageous, but so were her dresses. They were so wide women had troubles passing through doors. Bertin had such an influence on the Queen’s wardrobe, and as a result, on French fashion, to gain the nickname “Minister of Fashion”. Her name became synonymous with sartorial elegance, not only in France, but all over Europe. Her dresses were commissioned from all corners of the continent, including London, Vienna, Venice, Saint Petersburg, and even Constantinople. Things took a turn for the worse when the Revolution broke out. 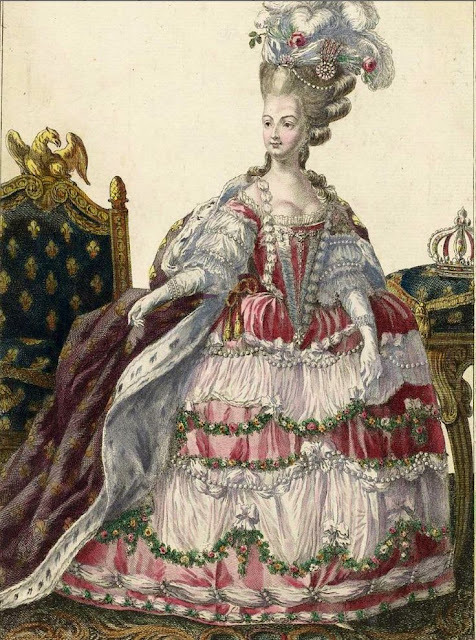 When Marie Antoinette was imprisoned she couldn’t afford Bertin’s super expensive gowns anymore. But she continued to commission small orders, usually of ribbons and simple alterations, to her dressmaker. 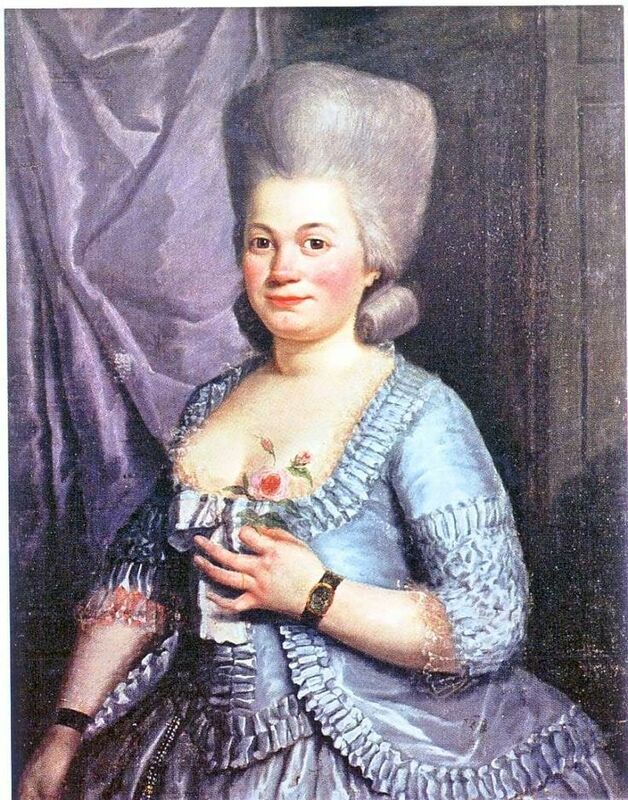 Bertin’s also provided the mourning outfit the Queen wore after the execution of her husband, Louis XVI.